Very well bred Irish mare. 14.2 connemara born 2013. Established in all ground work, progressing well. Ready for an exciting new life of having fun with new family. Attended clinics indoors and outdoors, pleasure rides and beach, spot on conformation, genuine lady, safe and fun. Works nicely on the flat and very smart over a fence. Could make top Eventer / Show Jumper, WH, Show. Wormed, shod, vaccinations, back and teeth all up to date. A pleasure to handle and loves attention. 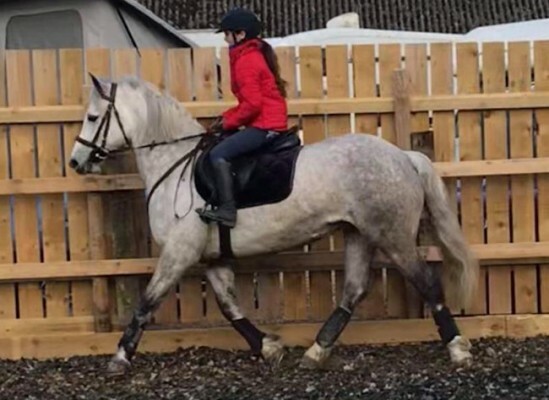 10 * home required for this super smart and genuine mare. Please no joyriders / novices / loans or trials.